That extra pilot, who was seated in the cockpit jumpseat, correctly diagnosed the problem and told the crew how to disable a malfunctioning flight-control system and save the plane, two people familiar with Indonesia's investigation told Bloomberg. The presence of a third pilot in the cockpit wasn't contained in Indonesia's National Transportation Safety Committee's November 28 report on the crash and hasn't previously been reported. "All the data and information that we have on the flight and the aircraft have been submitted to the Indonesian NTSC. We can't provide additional comment at this stage due the ongoing investigation on the accident," Lion Air spokesman Danang Prihantoro said. 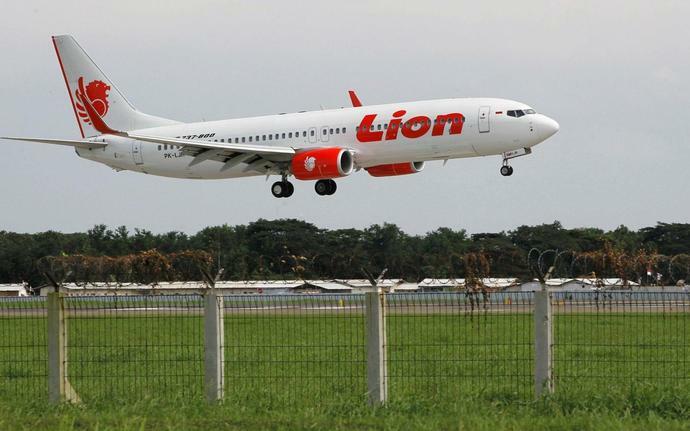 Boeing's 737 Max was grounded on March 13 by US regulatorsafter similarities to the Oct. 29 Lion Air crash emerged in the investigation of the March 10 crash of Ethiopian Airlines Flight 302. In the wake of the two accidents, questions have emerged about how Boeing's design of the new 737 model were approved. The Transportation Department's inspector general is conducting a review of how the plane was certified to fly and a grand jury under the US Justice Department is also seeking records in a possible criminal probe of the plane's certification. "We will fully cooperate in the review in the Department of Transportation's audit," Boeing spokesman Charles Bickers said. The company has declined to comment on the criminal probe. After the Lion Air crash, two US pilots' unions said the potential risks of the system, known as the Maneuvering Characteristics Augmentation System, or MCAS, hadn't been sufficiently spelled out in their manuals or training. None of the documentation for the Max aircraft included an explanation, the union leaders said. "After this horrific Lion Air accident, you'd think that everyone flying this airplane would know that's how you turn this off," said Steve Wallace, the former director of the US Federal Aviation Administration's accident investigation branch. A Federal Aviation Administration review board said on Tuesday a software update to the grounded Boeing 737 MAX aircraft was found to be "operationally suitable," suggesting the lengthy regulatory process to get the planes back in the air was well underway. More than 300 Boeing 737 MAX jets have been grounded worldwide after nearly 350 people died in two crashes, one in Indonesia in October and another in Ethiopia last month. Boeing Co has been reprogramming software on the 737 MAX to prevent erroneous data from triggering an anti-stall system known as MCAS that is under scrutiny following the two disastrous nose-down crashes.